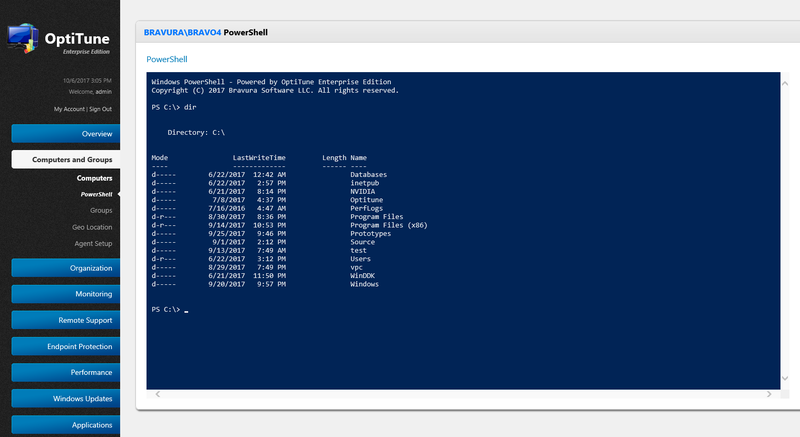 Remote PowerShell – Have you ever wanted to start a PowerShell session on a remote computer right from your web browser? OptiTune now lets you do so, so you can quickly perform complex administrative tasks using the windows PowerShell you already know. 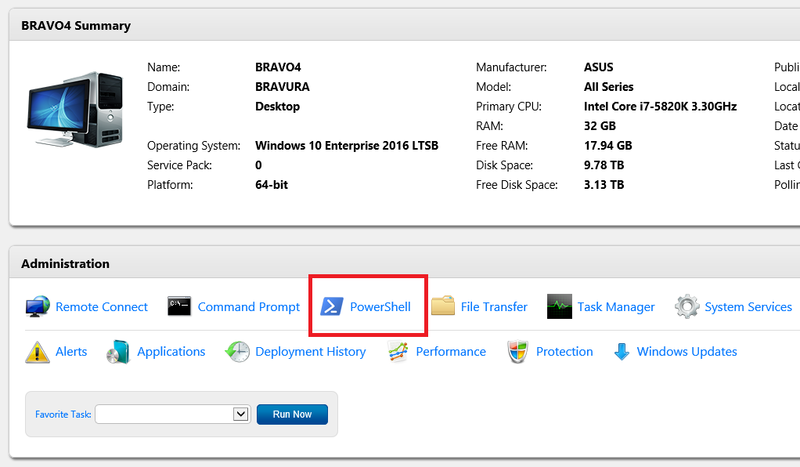 Go to the computer details page, and click on “PowerShell” to start the web based PowerShell, with a real time, live connection to any computer managed through OptiTune. The remote PowerShell joins the other powerful browser based remote tools in OptiTune, including the Command Prompt, Task Manager, and System Services tools. Agent Installer Refinements – When you create a custom agent installer in OptiTune, it is now signed with the Bravura Software code signing certificate (unless you include a post install application). Other Changes – Performance improvements in how agent reports are handled, and a revised “Getting Started” section was added for when you first setup OptiTune.